Koganesengan Sweet Potatoes grown in Kagoshima Prefecture are fermented with Ki koji mold. Honkaku Imo Shochu is made in the traditional method using jars for fermentation, wooden barrel distillation and storage in jars. Please enjoy the mild taste and refined and moist aftertaste. This consummate Shochu will please your five senses. The Ki koji mold has made a comeback in Shochu making. Ki koji mold was once used to make Shochu in Kagoshima. Traditionally, it was the koji mold for sake. But it often caused quality deterioration because of the warm climate of southern Kyushu. Before long, Ki koji mold was discarded and replaced by Kuro koji mold and Shiro koji mold because they have a strong resistance against microbes. Ki koji mold made a comeback at Denbeegura, where Shochu making began with Ki koji mold as its source. Master distillers brought their sharp senses into full play and brought the traditional taste back to life. Second moromi fermentation has made Imo Shochu much tastier. 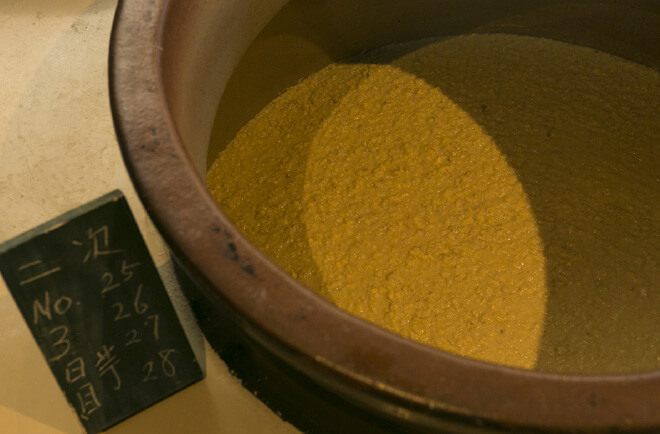 Second moromi fermentation was introduced at the same time as Kuro koji mold. Before, water, koji mold and sweet potatoes were fermented in a single step. But the new method divided it into two stages: first stage fermentation, where first moromi (fermenting mash) is made, and second moromi fermentation, where sweet potatoes are added as a raw ingredient for further fermentation. 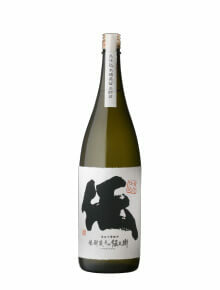 Imo Shochu has become much tastier because of the second moromi fermentation, during which steamed sweet potatoes are added after they have become sweeter in the steaming process. Traditional method of fermentation in the jar was the standard in the Meiji period. 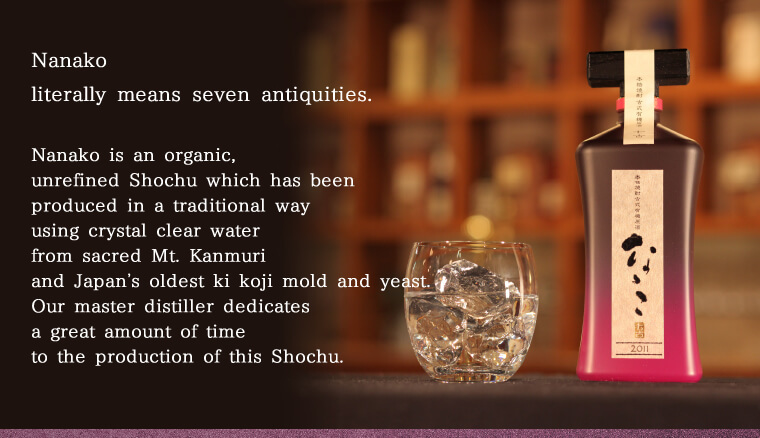 Fermentation and aging in jars is the traditional Shochu making method passed down from the Meiji period. The large jars placed in a long line are more than 100 years old. Master distillers have a firm grasp of the characters of the jars of different ages and sizes. Round-shaped jars have circulation occurring inside, which reduces temperature irregularity during fermentation. Earthen jars emit ultra-red rays, which makes Shochu stored in them milder in taste. 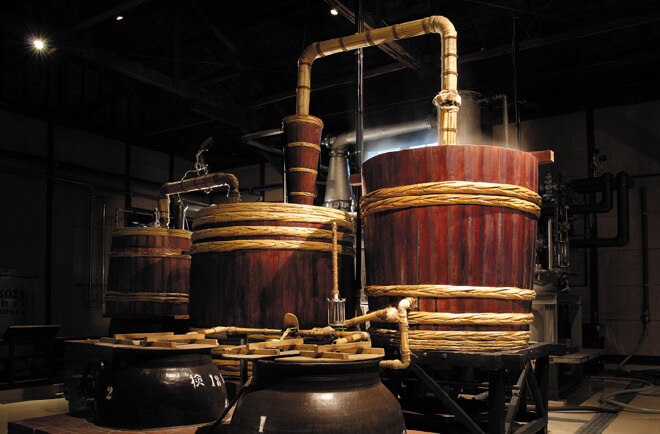 Widely used from the Edo to Meiji periods, wooden barrel distillers were heated by steam blown into them. Wooden barrel distillers are difficult to maintain because they need repair every few years due to the damaging effect of heat and the acid content of moromi (fermenting mash). Denbeegura has them maintained carefully by the only professional wooden barrel maker remaining in Kagoshima Prefecture. 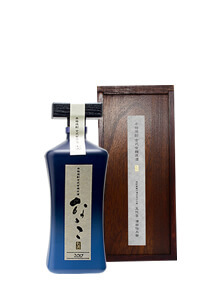 This is done in order to maintain the taste of traditional Satsuma Honkaku Shochu. The classic Shochu expresses a strong presence of sweet potatoes. Nanako has seven features dating back to olden times. Attempts had been made to bring back the ancient taste and flavor before we finally found the koji mold and yeast that had been passed down over centuries. The koji mold we use is Japan’s oldest seed mold named Aspergillus oryzae, a strain of Ki koji mold used widely in sake production. 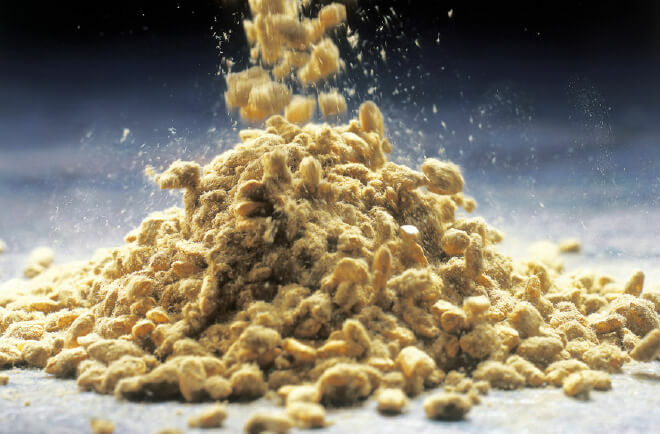 The yeast we use is the first-generation isolated yeast named Saccharomyces sake that has survived to this day. 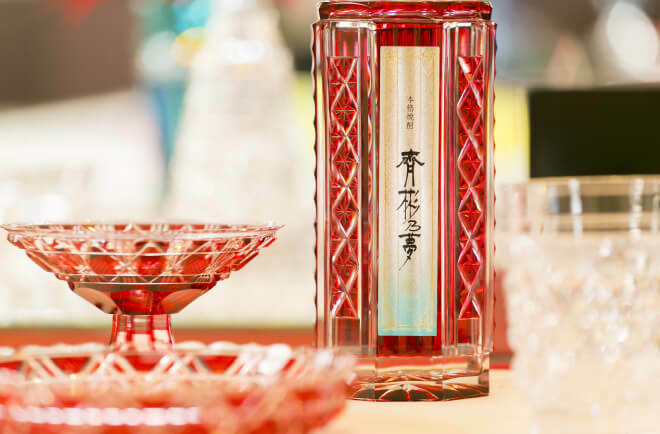 The unrefined Honkaku Imo Shochu made in the traditional method is bottled in gorgeous Satsuma Cut Glass, one of the traditional handicrafts of Kagoshima. Koganesengan sweet potatoes produced in Kagoshima Prefecture are fermented with the Ki koji mold used in olden days when Shochu making began. The unrefined Honkaku Imo Shochu is made in the age-old, traditional method of fermentation in jars followed by wooden barrel distillation. The mellow and rich flavor deepens as it matures. 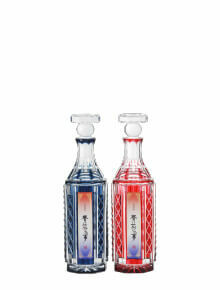 The octagon-shaped Satsuma Cut Glass bottle combines a traditional pattern of the days when Shimadzu Nariakira reigned with a touch of modern simplicity. Shimadzu Nariakira made great efforts into developing modern industries to enable the country to deal on an equal stance with the great powers of the West. 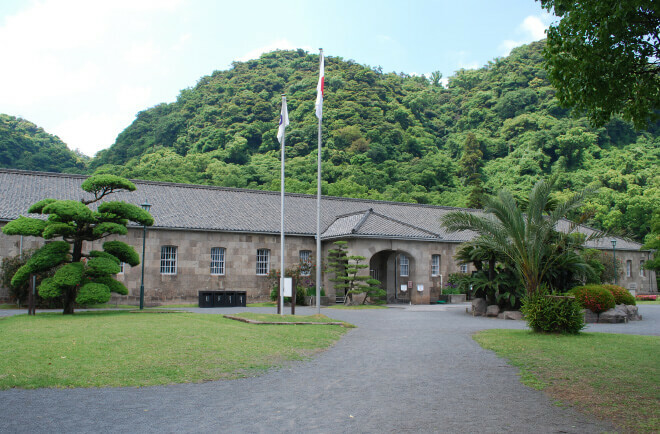 He built the industrial complex known as Shuseikan near the sea and developed a wide range of industries such as shipbuilding, cannon production, glass manufacturing and textiles. Satsuma Cut Glass was part of these efforts and the glass manufacturing techniques were intended for building warships. 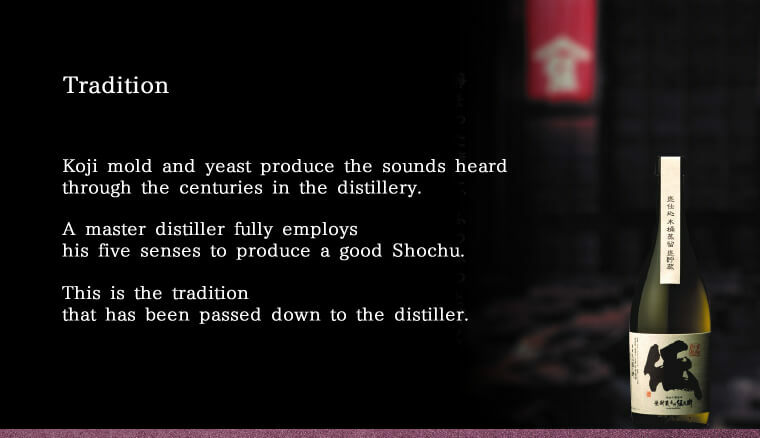 Nariakira is known for having had progressive ideas, one of which is the use of the alcoholic content of Shochu as a fuel to run factory machines. The goal was to enable the country to compete with the great powers of the West. ‘Nariakira’s Dream’ was launched to celebrate the 150th anniversary of the Shuseikan Project. Nariakira attempted to make Japan strong and wealthy and developed Satsuma Cut Glass as an export item. 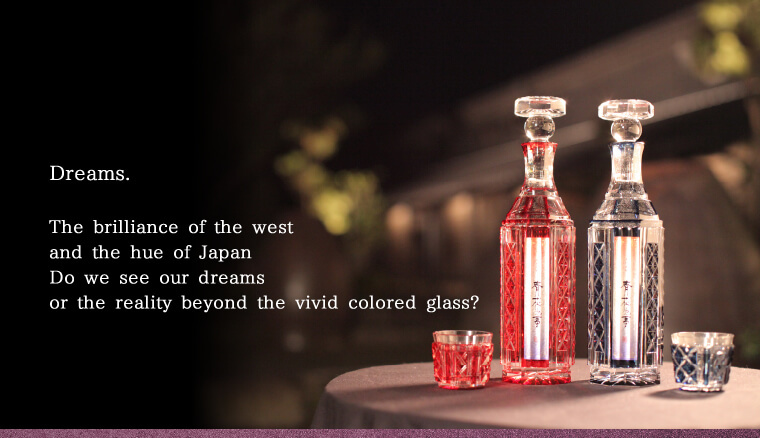 Satsuma Cut Glass is acclaimed as an important milestone in the history of the world’s glasswork. Colored glass is laid over transparent glass and cuttings are incised gently. Unique gradation emerges as incisions reach the layer of transparent glass through the colored glass laid over it. The technique is found nowhere else but in Satsuma. Research on coloring glass created a wide color variation of crimson, indigo, purple and green. Among them, Crimson Satsuma Glass was highly reputed the world over.